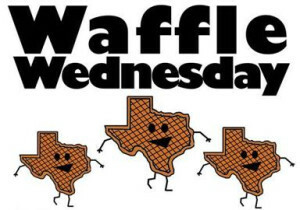 Tarleton students and faculty alike decorated waffles for breakfast on Wednesday in the Thompson Student Center lobby. Tarleton State University’s Transition and Family Relations hosted Waffle Wednesday to help students make plans for the 2013 fall semester. Students could enjoy a waffle breakfast while visiting and reapplying with financial aid, housing, academic advising, scholarships, and dining. Towns said the students brought up the problem of coming back for housing from freshman year. They said they are sometimes blocked from coming back to school because they get the same place and are late getting their assignments done. Waffle Wednesday lasted from 7:30 to 10:00 a.m. in the Thompson Student Center. The next scheduled Waffle Wednesday will take place Wednesday, April 17.